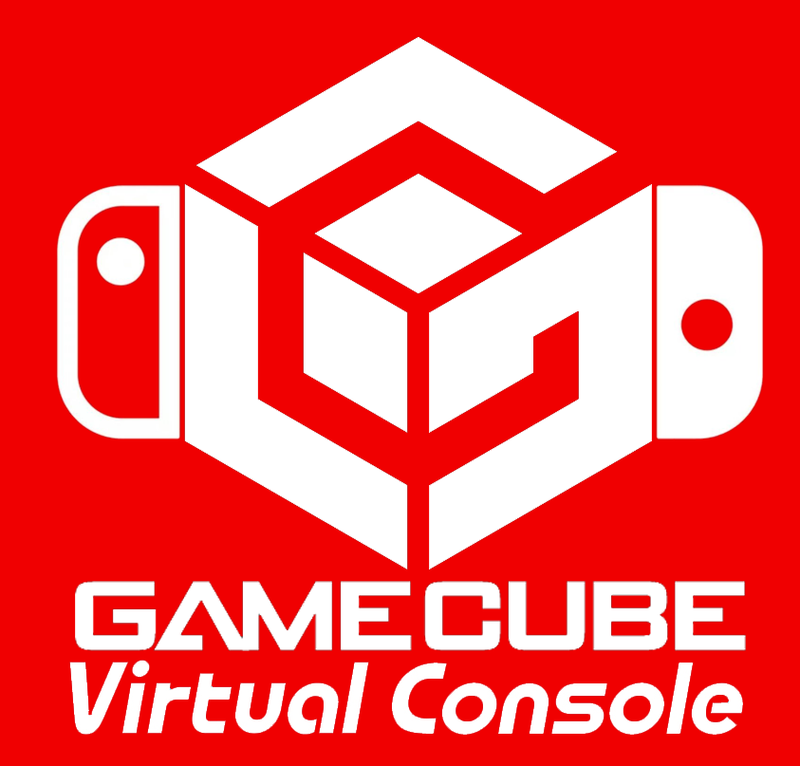 Nintendo Switch has yet to gain its Virtual Console service – where old games are emulated for play on newer systems – but one of the most requested systems to appear on the service is Gamecube. The Gamecube is quite possibly one of my most favourite systems, with a fair few series available on it that I feel have only been narrowly beaten by later entries, and some which still remain my favourites. Take Mario Kart, for instance. Despite numerous entries after Double Dash, I would always say it was my favourite. Even when Mario Kart 8 came out – though it was a very tight call. With the Deluxe version of MK8 on Switch though, Double Dash has finally been beaten. 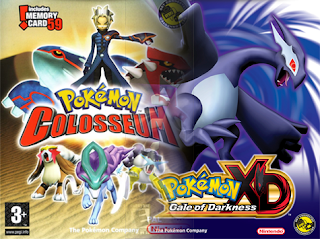 For Pokémon spin-off games, Colosseum and Gale of Darkness are still my all-time favourites, and I’m hoping that when the main series comes to Switch, that game borrows some of the better elements from the two Gamecube games. You’ve probably heard quite a bit about this one, but Sonic Heroes is my all-time favourite Sonic game. For years I was undecided on Generations, Adventure 2, or Heroes, but the one I haven’t finished the last story for is the one I’m saying is my favourite. However, this post isn’t meant to talk about my favourite games, it’s here to talk about bringing games to the Switch’s Virtual Console [if it arrives in the fashion we hope]. The only requirement for these games I’m talking about is that the game had to have been exclusive to the Gamecube. If we start talking about any game available, the list would be quite long. Of course, to start off, we have the big games. Super Mario Sunshine is a game I’ve seen people ask for in other lists about the Gamecube, and while I’ve never played it myself, Mario games are always one of the most asked for games. While this one might struggle a bit with controls [analogue versus digital triggers being the main point], I still feel there can be a bit of a workaround with that. With Super Mario Odyssey coming October, and the Switch’s Virtual Console surely to come in 2018, Sunshine would be a good game for people to remember the older Mario games with. The game differed a bit from Super Mario 64 in that you had a water gun named FLUDD that helped you clean up Isle Delfino of ink and also added to the range of moves Mario could perform. When talking of big games, the name that usually gets mentioned next to Mario is Pokémon [sorry Link]. Which is interesting to note, as the Gamecube had two rather main series-like Pokémon games released for it. The first – Colosseum – starred Wes, a member of Team Snagem who defected after a change of heart, taking the snag machine with him. The second – XD: Gale of Darkness – starred Michael, a part of Professor Krane’s research facility, as he uncovered the deeper plot of the Shadow Pokémon. See, these two games were different in that they featured very little in way of wild Pokémon [Colosseum having none at all], and having a deeper plot that didn’t involve a league. Instead, it was solely on taking down the evil organisation. Oh, and both games primarily focused on double battles. Adding new monsters to your team was done through the Shadow Pokémon. These were ‘mon who had been artificially altered to close all emotion from said ‘mon and turn it into a cold-hearted fighting machine. By using the snag machine, you could capture them from other trainers and use them as your own, eventually being able to restore them to their normal self. With a main series entry said to be coming for the Switch, these two games would be perfect if said game wasn’t appearing until 2019 to fill the gap. Luigi’s Mansion was a brave game, starring the partner of Mario as he tried out for the next member of the Ghostbusters. Or something to that effect. It was a simple game, with the player having to capture ghosts across one of four stages. Some ghosts were within portraits, while others couldn’t be captured without collection of special medallions. There was also treasure to collect, which formed the basis for how big the mansion would appear at the ending scene. While a sequel did hit the 3DS some time ago [expanding upon the first greatly], having the original available on the go as well would be a perfect bonus. There’s no other way to say what this next section is all about in any other way – it’s racing games. And the Gamecube certainly had a number of exclusives in that area. The first obviously being Mario Kart: Double Dash, which in my opinion was the greatest of the lot until, as I said above, it was beat by Mario Kart 8 Deluxe on Switch. Now, if the Switch already has a Mario Kart, why would it need another? Double Dash is what many would consider the black sheep of the series, with many of its features never showing up in another title again [though some were reworked for 8 Deluxe]. The main feature being two-character racing. While any two characters could be selected, they were shown in pairs on the select screen. Mario and Luigi, Toad and Toadette, Donkey Kong and Diddy Kong, for example. Each of these pairs had a special item unique to them, so a giant shell resembling Bowser for himself and his son, a chain chomp for Baby Mario and Baby Luigi. The driving physics were looser, getting hit by obstacles hardly impeded the speed of the kart, and with enough skill red shells were able to be dodged without use of an item. And speaking of items, you weren’t allowed to hold them behind the kart. If 8 Deluxe isn’t getting any download content, then the next best thing would be getting the black sheep of the series available for all. Now, the next two racing games I haven’t played, but there is certainly a calling for one of them. The other – Kirby Air Ride – was the precursor for a mode that featured in Super Smash Bros. 4 3DS. Smash Run was similar to City Trial, so it would be good for people to experience the game where that mode originated. City Trial had you driving around a city stage with several other sections, while grabbing upgrade items for your vehicle. Vehicles themselves were scattered around the map, allowing players to swap vehicles. Random events would happen during the trial, mixing up the playing field a bit. Once the countdown had ended, a small competition between racers would happen, whether that be a drag race, fights, glides, or laps on one of the game’s race courses. While normal races and top-down races were also part of the game, City Trial is obviously the main event of the game. With Mario Kart and the other game I’ll mention also being out around the time of this game’s release, it was considered the throwaway of the bunch, possibly due to its simplicity. That other game being F-Zero GX, the super-fast futuristic racer developed by SEGA and the last 3D F-Zero game to date [GP Legend would be the last worldwide 2D release, while Climax released exclusively in Japan]. GX had thirty racers competing on twisting tracks, all at high speed, with a health and boost meter keeping things in check. The series, as well as other futuristic racers, has always been a difficult to master genre, but there’s an extra bit of character that this series provides in having characters along with the racing machines. The tracks are well worth playing the game for, but with newer futuristic racers such as FAST RMX and Redout making a mark in the genre, it makes one question whether this game would make an impact among them. Those calling out for a new F-Zero will surely jump at the chance to prove they want a new game if this became available, and in a way this game completes the trio of racing types. Kirby, the simple racer. F-Zero, the more core racer. And Mario Kart, the racer for everyone. Those are the main six [well, seven] games the Gamecube had, though of course there’s still a few missing. These are the few that will be unlikely to appear. Super Smash Bros. Melee, for example, while a good game, possibly won’t see a release until after a likely port of Smash 4 releases, if at all. The game was the most technical of the series, still being featured in fighting tournaments to this day. How a re-release would be received is anyone’s guess, but having two Smash games available on one console would surely help with organisation. Of course, if the port isn’t perfect [and let’s not forget the fighting crowd preferring the Gamecube’s controller out of everything Smash Bros.], it will be left in the dust for the original console. Another unlikely game would be Animal Crossing. The series has evolved so much since this version came out, that aside from the nostalgic value it holds, there is little on offer that hasn’t already been improved on. And with a Switch game sure to expand on everything the 3DS’ New Leaf gave us, there would be even fewer reasons to grab the Gamecube game. However, there is the nostalgic reasonings to consider, which is where the Virtual Console usually thrives. The Star Fox games of the Gamecube are rather hit or miss in whether a Virtual Console release will happen. On the one hand, Star Fox Zero was a rather ambitious effort with a difficult to master control scheme, in effect spoiling the rather neat revival the series had with Star Fox 64 3D. On the other hand, if Star Fox 2 can get revived from cancellation due to fan demand, it must prove the series still has the staying power. Releasing more favoured games would be preferable, but at this point the general consensus seems to be that the games are getting similar in story, with Zero expanding on the maps and progression of 64 3D – even if it did add a lot more in terms of mechanics. As such, Star Fox Adventures and Star Fox: Assault could bring a greater sense of exploration back to the series. Wave Race: Blue Storm is another racing game, but this time on water. 1080 Avalanche is a snow-sports racer. Both series saw their last on the Gamecube, and re-releases could help revive interest in both. While Custom Robo, an RPG about miniature robot fighting figures, saw a release on DS, the Gamcube game only saw a release in the west in America. Bringing it to the Virtual Console would allow more people to experience it. Battalion Wars… The real-time tactical strategy game is a part of Nintendo’s Wars series, which also includes the Advance Wars games [which I’m more familiar with]. Featuring a more cartoonish style of visual, and a lighter tone than strategy games usually offer, the game still had enough depth to gain a positive reception when it first released. While the sequel on Wii might have improved on the original, the first is still the one that could use the greater exposure. The Mario sports games feel like they are slowly declining, but that only really started from around 2011. The Gamecube had three Mario sports games, two of which were new sports the Mushroom Kingdom hadn’t seen before. The popular choice of sport, Mario Golf: Toadstool Tour had sixteen playable characters, with seven courses and various modes to play. While it felt a bit similar to the previous game of the series, it was still a stand-out entry. Mario Superstar Baseball is one of the new sports, with traditional matches of baseball mixed up with Mario characters. The challenge mode has players moving up the ranks after beating various teams to face the final match against Bowser. There’s a bit more depth than I’ll go into here regarding the mode, but other modes were also available in the game. The last of the three was Super Mario Strikers [or Mario Smash Football for Europe]. A five-on-five game of football again takes characters and themes from the Mushroom Kingdom and places them into a sport, again mixing things up with power-ups and special moves. Reviews do point out a smaller solo-play offering than other games, but that’s likely due to the nature of the sport itself. Continuing on with those three games, Superstar Baseball and Smash Football did receive sequels on the Wii, but both have since been missing in action as standalone games. The 3DS collection of Mario Sports Superstars included all three of the sports mentioned, along with tennis and horse racing, though all the sports seem to have lost the fantasy wackiness previous Mario games have excelled at. Releasing all three Gamecube sports games on the Virtual Console for Switch might prove that the sports need this wackiness to remain relevant as a series, and indeed different from the more realistic offerings from the likes of EA. There’s a fair few other games Gamecube exclusive that I haven’t mentioned. Paper Mario: The Thousand Year Door is highly regarded as the best Paper Mario RPG, though with a Mario and Luigi game already being remastered for the 3DS, it is entirely possible for the same treatment to be had for Paper Mario on Switch. Legend of Zelda: The Wind Waker has already seen a remaster on Wii U, so a port of that version is more likely I would imagine [though in a few years’ time after Skyward Sword has had a chance]. There was also Four Swords Adventures, but again it would be better as a remaster [in fact I’d say that game would need it considering how it was played]. Billy Hatcher and the Giant Egg was a one-off game [due to SEGA not wanting to risk a sequel] where the gameplay revolves around finding and hatching eggs by rolling them around. These give improvements to the player character which help in his quest. These are all games I wanted to highlight as potentials for the Switch Virtual Console, but I cannot end this off without mention of two games that will possibly never see a re-release. The Star Wars: Rogue Squadron games. Here’s hoping EA can make a series of air-combat games that channel the spirit of what the Rogue Squadron games were.